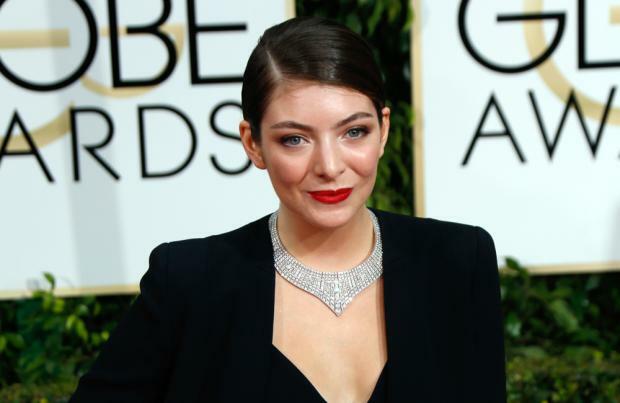 Lorde is struggling to write songs for her new album. The 18-year-old singer/songwriter is currently working on the follow-up to her critically-acclaimed debut album 'Pure Heroine', released in 2013, but is finding it difficult to write tracks for the collection and moaned about her troubles on Twitter. In an update, which she has since deleted, she wrote: "today i tried to write a chorus for almost 4 hours i wish that was an april fools joke (sic)." Although fans haven't been able to enjoy any new music from the 'Royals' hitmaker since her contribution to the 'The Hunger Games: Mockingjay - Part 1' soundtrack last year, 'Yellow Flicker Beat', she hinted her future tracks might have a slightly different sound because she has been trying to write a ballad inspired by Bonnie Tyler's 1983 hit, 'Total Eclipse of the Heart'. Tweeting a pal, she said: "we were actually writing a total eclipse of the heart-inspired jam today (sic)." The news comes just weeks after Lorde - whose real name is Ella Yelich-O'Connor - started working with her trusted producer, Joel Little, once again, after he confirmed in February they would be heading into the studio together "very soon". He said: "We're gonna get in the studio again very soon. That's the plan, basically. We're just going to start writing some songs. "We haven't got some planned out 'this is what it's going to sound like'... I think we're just going to start writing and when it starts to feel right, we'll know that it's right. It's pretty simple really."